New Delhi (Sputnik) — In a major decision that may irk China, India has decided to explore the possibility of launching direct air connectivity with Mongolia — a landlocked country, primarily dependent on its neighbors for energy and other needs. The decision was taken during a two-day visit of Sushma Swaraj to Mongolia — the first by an Indian foreign minister after a gap of 42 years. On Wednesday morning, Foreign Minister of Mongolia Damdin Tsogtbaatar and his Indian counterpart presided over the 6th Session of the Indian-Mongolia Joint Committee on Cooperation, where they discussed issues covering a wide range of bilateral engagements. "We agreed to remove institutional and logistical impediments to boost our trade, tourism and people to people contacts. In this regard, we also agreed to explore possibility of launching direct air connectivity between our two capitals," Sushma Swaraj said during the joint media briefing with her Mongolian counterpart. Mongolia would be the second major landlocked country after Afghanistan with which India has decided to launch air connectivity, establishing a strategic relationship. Last year, India opened two air corridors with cargo flights between Kabul, Kandahar, New Delhi and Mumbai. Meanwhile, the two countries have also agreed to expedite the refinery project selected by the Government of Mongolia for implementation with the support of one billion dollars Indian line of credit. "We directed our officials to coordinate follow up action on each side for the expeditious implementation of these projects. Our strong political ties must be complemented by commensurate levels of trade, economy and investment," Swaraj added. The Indian line of credit includes a $700 million loan for the oil refinery and $264 million for oil pipelines. The loan was announced during Prime Minister Narendra Modi's visit to the East Asian country in 2015. The 20-year loan will have an interest rate of 1.75 percent and principal payments will be waived during the first five years. 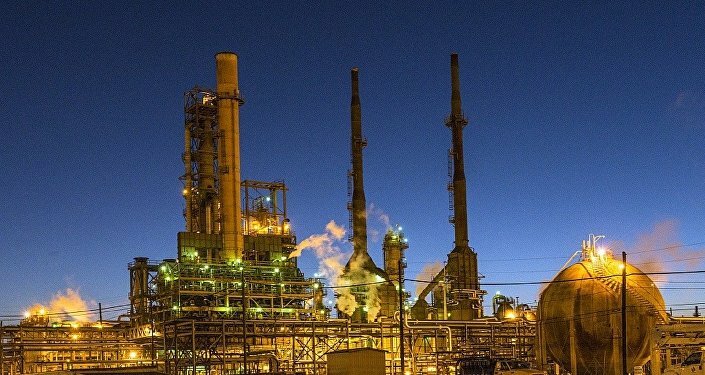 The refinery will have a processing capacity of 1.5 million metric tons of oil per year and will annually produce 560,000 tons of gasoline and 670,000 tons of diesel fuel, as well as 107,000 tons of liquefied gas. It could also boost Mongolia's gross domestic product by 10 percent. The new warmth in the relationship between India and Mongolia began in 2015 with Prime Minister Narendra Modi's historic visit — the first ever by an Indian Prime Minister to Mongolia. In 2016, when China imposed the economic blockade, Mongolia's Ambassador to India Gonchig Ganbold asked India for help, as Mongolian vehicles were being charged for over-land transit and China's province of Inner Mongolia had begun to charge trucks carrying minerals a provincial tariff. However, India hesitated to come to the rescue of Mongolia, as a result of which, on December 21, Ulaanbaatar apologized abjectly to Beijing. Mongolian Foreign Minister Tsend Munkh-Orgil promised that the Dalai Lama will no longer be allowed to enter his country even for a religious matter.